We are offering High Tensile Fasteners. These products are extremely solid and quenched in state and ensure longer functionality. These products are fabricated by us using high-quality metal and used in different industries including automotive, automobile, construction. We are offering these products at affordable rates. We deal in all kind of High Tensile Fastners and manufacture as per customer's own drawing and specification. We are a leading manufacturer and supplier of High Tensile Fasteners. High tensile strength and durability are some of the salient features of these products. We are offering these products at affordable rates. 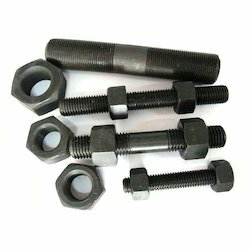 Relying on our expertise in this domain, we are into offering Tension Control Bolt. 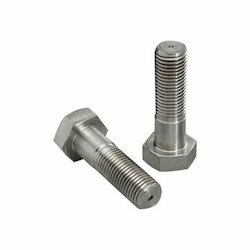 With our vast industrial experience, we are engaged in manufacturing, trading and supplying a comprehensive range of High Tensile Fasteners. The offered products find usage in heavy duty machines, automobiles and many more application areas. Customers like our products for their high grade quality and provided in various sizes. We have been counted amongst the most trusted names in this domain, engaged in providing High Tensile Screw. we are Distributors for Unbrako brands and cater to industrial needs be it fasteners , power tools , abrasives and industrial paints. We are widely recognized trader and supplier of a complete range of Unbrako High Tensile Fasteners in India. The offered Unbrako High Tensile Fasteners are broadly used for their all trusted and longer serving life. Available in unmatched market price.